General Engineer-to-Order (ETO) design of product capacity projects among many others, includes design for large electric machine, huge centrifugal pumps, diesel/natural fuel power plant engines, steam turbine, boiler, ship power, et cetera. ETO is basically a product development process, which starts with a product specification and finishes with an engineering design as its deliverable. It rarely includes manufacturing processes. The main drawback is with issues concerning its long lead-time. Research shows that an excessive lead-time is more often than not caused directly or indirectly by factors related to the design phase. This chapter thus, endeavours to introduce a best practice concurrent approach for reducing the lead-time at an engineer-to-order product design/development stage by seeking to integrate business information technology systems in the design and operational phases. It also introduces a new concurrent best practice approach by way of seeking to integrate other related business systems, e.g., (Enterprise Resource Planning (ERP)) such as (Enterprise Service Architecture (ESA) application processes with Service-Oriented Architecture (SOA)) as a platform for applications and processes for effective communication. 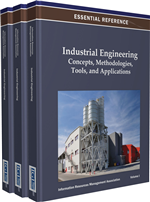 Furthermore, the chapter presents and discusses a model of classical concurrent engineering (CE) ETO operational process. ETO key elements, ETO success factors, and series of state of the art ETO classical ERP engineering design tools, as well as the “best practice” product life cycle are all discussed. Industrial manufacturing companies producing engineered products on an engineer to order (ETO) in a concurrent engineering approach (i.e. partners from various divisions in the organizations) have traditionally found business opportunities. Through the design and product development expertise and an ability to respond to demands for customisation with improved product performance, customers are increasingly seeking for more affordable prices and a much reduced lead-times, which also require improved manufacturing efficiency. These companies are thus being driven to improve the integration of the design, manufacturing and procurement functions (Cameron, and Braiden, 2004). In order to facilitate this improvement in the integration of the various partners involved, and to improve the overall product time to enhance and better define the product as well as properly document the design process, a concurrent engineering process needs to be adopted in the supply chain management (SCM). Concurrent engineering process which very much operates in the same vain as a collaborative engineering process, is a process in which the appropriate partner organizations are committed to integrating their system processes to work interactively. Thus, to visualize, develop and implement engineered products and programs that correspond with their pre-determined objectives. Concurrent engineering in this sense is moderate collaborative engineering approach that is much more focused on the engineering product design process of concurrent cross-functional partner organizations together in order to create products that are much better, much affordable and with a much reduced lead-time. Engineer to order products may require a specific set of item numbers, bills of material (BOM), and routings; these are usually complex with long lead times. Customers are also normally heavily involved throughout the entire design process and manufacturing process for an engineer to order a product. It is usually limited to an engineering design process which involves the tasks of engineering analysis, concept design, architectural design, detailed design and manufacturing process design. It does not include the manufacturing phase of materials acquisition, fabrication and assembly. In a traditional ETO operation, product functionality is the major design focus (Chen, 2006). The product design process phase takes enormous time of the entire process lead-time. Thus, the new and improved ETO – CE process flow model approach proposed in this chapter seeks to reduce the long lead-time by its CE approach of all the partners as well as communicating and exchanging product design information on a common platform. This new improved approach as compared with the classic ETO process flow approach will bring all partners in the design supply chains together both locally and globally by using a system oriented architecture (SOA) – extensible mark-up language (XML) communications on a common platform across the world-wide-web. Thus, providing an opportunity for even different design teams in different organizations, with different SCM information systems (IS) to link-in easily and faster to resolve any design issues. Thereby, reducing any delay in design processes, which is the cause of long lead-times in classical ETO processes. ETO – CE approach in improving product design supply chains enhances an industrial manufacturing organization’s ability to gain effective and efficient control of the upstream through to the downstream of their ETO product design processes and assume a dynamic concurrent approach to supply chain rather than a reflexive to lead-time threats. The follow section gives more elaboration of how ETO – CE integration into supply chains could improve the chain.